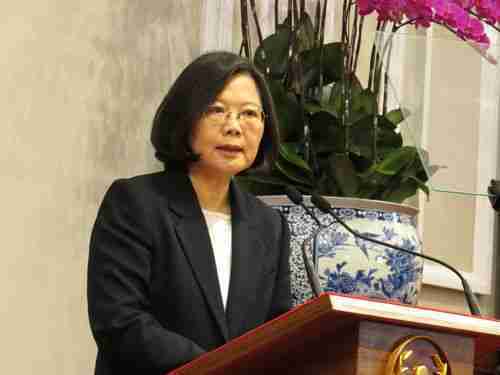 Did Taiwan’s president say that Taiwan is ‘an independent, sovereign country’? In the aftermath of the 10-minute phone conversation with president-elect Donald Trump and Taiwan’s president Tsai Ing-wen, tensions between Taiwan and China have been substantially increasing. Reports indicate that China’s military, the People’s Liberation Army (PLA), has become increasingly alarmed by this phone conversation, since they feel that it threatens additional steps towards attempts by Taiwan to become an independent nation, not a province of China. Since then, China’s military has been stepping up military drills near Taiwan, in a show of military force. China sent its aircraft carrier and a naval fleet into waters near Taiwan, and also sent military jets to circle the airspace near Taiwan. Taiwan’s defense minister has warned that enemy threats were growing daily. Since [we took office on] May 20, we have endeavored to maintain peaceful and stable relations across the Taiwan Strait in accordance with the people’s will and consensus in Taiwan. Driven by our respect for history and the spirit of seeking common ground while setting aside differences, we have continuously expressed goodwill towards the other side across the strait. We hope that the two sides can gradually reduce confrontations and differences through positive interactions. But in the past few months, it has been the general feeling of the Taiwanese people that the rational and calm position that both sides have worked hard to maintain has seen certain changes. Step by step, Beijing is going back to the old path of dividing, coercing, and even threatening and intimidating Taiwan. We hope this does not reflect a policy choice by Beijing, but must say that such conduct has hurt the feelings of the Taiwanese people and destabilized cross-strait relations. For the sake of safeguarding regional peace and prosperity, I want to once again reiterate that our commitments will not change, and our goodwill will not change. But we will not bow to pressure, and we will of course not revert to the old path of confrontation. Whether cross-strait ties can take a turn for the better in the coming year will depend on our patience and resolve. But it will also depend on how Beijing sees the future of cross-strait relations, and whether it is willing to assume its share of the responsibility for building new models for cross-strait interactions. This is necessary to answer the collective hope for peace from the people on both sides of the strait, as well as the different parties in the region. Reports indicate that China is planning retaliatory measures against Taiwan, such as conducting war games near Taiwan or imposing trade sanctions. The excerpt from Tsai’s press conference quoted above is the official translation of Tsai’s statement from a Taiwan government web site. The Republic of China is an independent, sovereign country. China views Taiwan as part of China, but recognizes that it has to approach Taiwan as an entity that has its own ways of doing things. Taiwanese have agreed that as long as they’re able to continue to function with some degree of autonomy, that they won’t charge forward and declare independence. Some activists claim that Taiwan is already a de facto independent state, because “Taiwan has already cut through the mire of its troubled history to become recognized by humanity, irrespective of official diplomatic relations.” In fact, these activists claim that calling Taiwan an “independent nation” does not contradict the One-China principle. 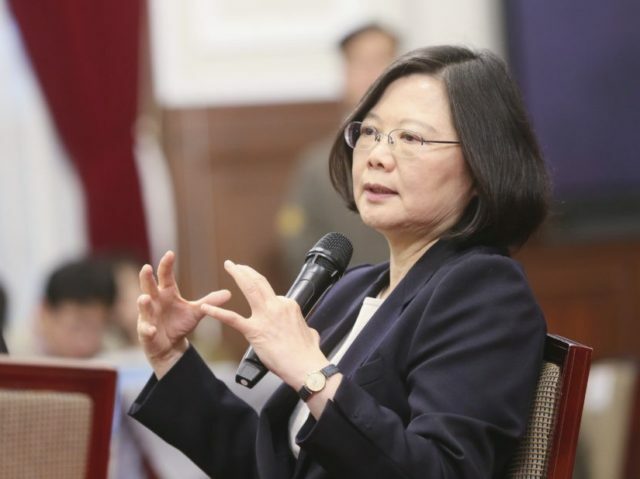 Taiwan has confirmed that president Tsai Ing-wen will make a foreign visit to Central America, and will visit Nicaragua, Guatemala, El Salvador and Honduras between January 7-15. The part of the trip that’s further infuriating the Chinese is that Tsai will make “transit stops” in the US before and after the trip to Central America. She will make a stopover in Houston en route to Central America and San Francisco on her return trip to Taiwan. There has been media speculation that Tsai will meet with representatives of Donald Trump during one of the stopovers, but Tsai’s office has refused to confirm or deny these speculations.